For those unfamiliar with his work, Michael Lewis is a nonfiction writer who dives into seemingly uninteresting topics and uncovers how they are actually very interesting. He gravitates toward math-oriented subjects. His most popular books are Moneyball and The Blind Side, both adopted into Oscar-acknowledged movies. Moneyball looked at the math tools utilized to turn the mediocre Oakland As into a winning team. The Blind Side’s premise is about the geometry of protecting a quarterback on the field. This time Lewis investigates the people immediately impacted by the Trump Transition Team: the government workers. And true to form, he looks at the STEM folks and subjects: the Department of Commerce and Census 2020. The Department of Energy and our nuclear safety program. USDA, FDA and their various sub-departments responsible for food safety. The National Weather Service. NOAA. NASA. Lewis’ talent for seeing the interesting in what is thought of as mundane is applied to government work and public-services employees. People who otherwise fade into a beige background come alive on the page. The scientist-astronaut turned Dept. 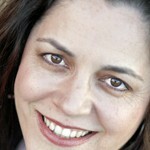 of Commerce leader with a specialty in weather. The workers and scientists who bear the responsibility of insuring nuclear waste and weapons don’t kill us. The USDA and FDA folks who work to insure that our food doesn’t kill us either. The Fifth Risk takes a brief look at their lives, their jobs, their dedication … and how incredibly important their work is for the rest of us. Ronald Reagan’s joke from the 1980s that “The nine most terrifying words in the English language are: I’m from the government, and I’m here to help,” have haunted government workers for decades. Reagan was keying off of political resentments and libertarian sensibilities and pride that have existed since FDR’s New Deal. But the attitude has remained to today and has infected the political sphere. Unfortunately the sentiment can also be used to undermine essential government programs and belittle career government employees, as Lewis notes. The author examines how private-sector businesses can thrive because of the good work by government, without anyone having an idea of the real power source behind the commercial success. His key example is environmental data collection by The National Weather Service (an entity within the Commerce Department) and its environmental data collection utilized by private-sector businesses to provide weather updates on your smartphone. The info may be packaged by big names in tech, but they likely didn’t provide the information to make those predictions. Government does that. 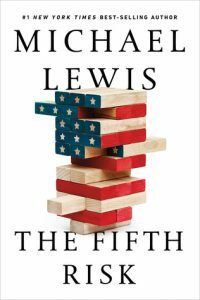 The Fifth Risk isn’t as cohesive as some of Lewis’ other books. There is no underdog winning the World Series at the end to create a great-for-film story arc. He moves between different agencies and individuals, loosely connected because they work for the federal government. There is no expose on a larger-than-life character in the center. (Despite the opening with the Trump transition, the POTUS moves to the background.) Since we’re smack dab in the middle of the current administration, there really isn’t an “ending” for the vignettes to tie them all together. But there’s hope that maybe this is Lewis dipping his toe in the water of writing about the good work from public servants. Maybe there’s a block-bluster in the future, with a quiet career bureaucrat or government scientist. After all, Lewis’ description of The Sammies, a Partnership for Public Service award ceremony for achievements in government, sums it up nicely. * The Fifth Risk refers to an informal list from a Department of Energy leader about the different scenarios that could spell doomsday for the government entity responsible for the energy grid and nuclear safety. On his list of major risks, the fifth one is simply “Project Management.” Or the lack thereof.